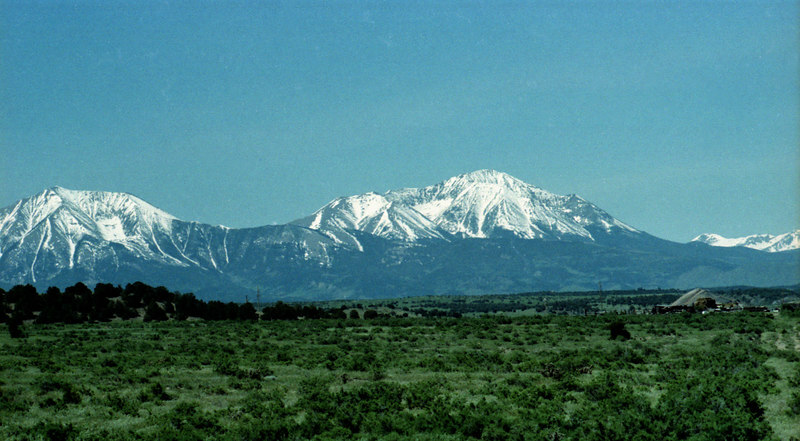 The Spanish Peaks in southern Colorado, not far from the venue of the Rocky Mountain 9-Ball Open. How can you not like the mountains of Colorado? This is a re-scanned image.